Last year, Accelity spent thousands of dollars outsourcing our lead generation without really knowing what worked. The engagement didn’t work for a number of reasons—complexity of sales process, messaging, caller turnover, who knows what else!—but I wanted to really know how to call prospects before we tried it again. So, I applied for this bootcamp from HubSpot—basically, an 8-week crash course on how to call prospects. Not going to lie, I pressed send on my application and kind of hoped I wouldn’t get in. 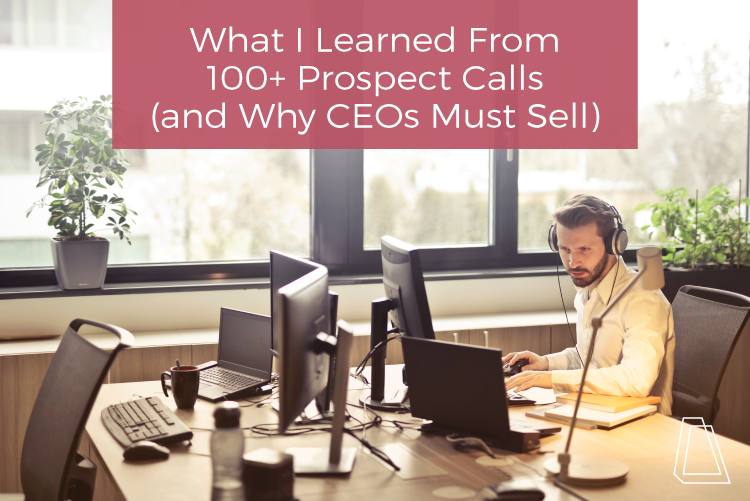 I knew that I needed to learn how to call… I spent the last few years really learning about and perfecting the rest of the sales process, but calling has always scared me. However, I realized that I had to learn how to do the work before having someone else do it. Taught by Dan Tyre, one of the first employees at HubSpot and an all-around amazing salesman and trainer, this 8-week virtual session seriously kept me on my toes. Every participant is on video (we had to shower! and get dressed! ), and we were expected to make over 100 calls in 8 weeks. We were taught new techniques and tools like Soapbox for video voicemails—check out my video about how sweet this free tool is here. To prepare for the bootcamp, I reviewed Daniel Pink’s To Sell is Human (which is an amazing book!) and compiled a list of almost 40 prospects that I wanted to call over the 8 weeks. They were a mix of lost opportunities, opportunities that previously went cold, marketing leads from our website and prospects from Accelity’s top 25 prospect list. According to Dan, there is no cold call, and now that the course is over I kind of agree. Lost opportunities = not a cold call; opps that went cold = not a cold call; marketing leads = not a cold call (since they’d been on our website a number of times and are familiar with the company); everyone else… sort of a cold call. You can definitely do research and work to connect with leads on the phone, but the difference between calling someone you’ve already spoken to and haven’t is stark. I am not 27. 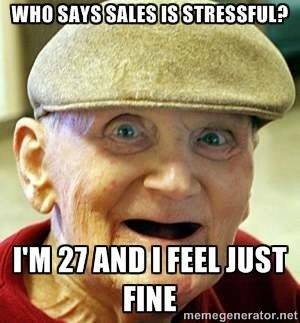 But this definitely applies to my mindset when I started the sales bootcamp! The bootcamp focused around this idea that salespeople, especially in a consultative sale like marketing and lead generation services, should focus on helping instead of selling. So many salespeople “show up and throw up” (the term is awful but hey, it’s effective)—meaning they show up, pitch the prospect, do all the talking, don’t listen at all, and the prospect never buys. Instead, salespeople should call to help with business challenges like lead generation and customer acquisition—even if the prospect doesn’t have a budget (yet). Offering to help with nothing required in return really “plants seeds” before the company is looking for your product or service. My AHA! moment during the bootcamp was that this is exactly what I do face to face with local prospects—review pitch decks, make introductions, act as an advisor for startups before they’re funded and/or ready to pay an outsourced marketing firm, etc. The funniest things about the calls I made to lost and cold opps, is that I got ahold of most of them, and many of them had positive things to say. It completely changed the internal dialogue that I’d convinced myself was true—they don’t see the value, they’re annoyed with my persistence, they don’t want to work with us. Instead, I heard that the prospects intended to respond to my emails, are still considering our services, or simply lost track of the emails and preferred to talk on the phone. When working my pipeline, the ultimate goal is (of course) to sell, and the next goal is to keep deals moving through the pipeline. Stalled deals clutter the pipeline and skew your data. So, one of my goals was to just get an answer—yes or no, it doesn’t matter (much)—but I wanted to clear out all of the old marketing leads that we never got ahold of. I was somewhat successful with this goal but have more calls to make. To make 15-20 calls per week, it’s really just a 3-4 hour commitment. Realistically, you can call 8 people, send follow up emails, and log everything in your CRM in an hour. I made 8-10 calls per day, two days per week throughout the 8-week session. Each day I usually connected with one or two people, which added 5-10 minutes per call to my hour. Yes, this bootcamp added about 5 hours to my schedule every week, but it was doable and honestly, it felt great! I could have said I was too busy, and given myself a million excuses (and believe me, I wanted to) but I pushed through it and it was an amazing experience. Today, I believe that every CEO should call and figure out how to sell so they can appropriately hire and train a sales team. There are certain things that you can truly only learn by doing the work yourself. Once you make the first call of the day, it’s easy to keep going. Plan your calls the night before, schedule time to make the calls and just do it. People are nicer than you think they are, and making calls really can be fun.